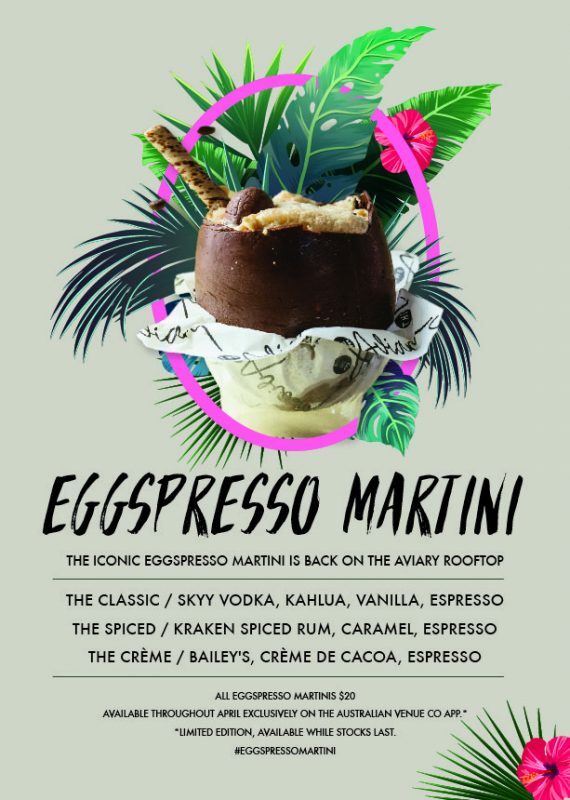 The iconic Eggspresso Martini is coming back for 2019! With three new flavours, served up in tasty chocolate Easter eggs. Plus vegan eggs available! All eggs are $20. These are limited, so hatch a plan to grab yours soon. Available throughout April exclusively on The Australian Venue Co app, available in the App Store or on Google Play.